Establishing a national goal to become independent of OPEC imports by 2020 by increasing domestic oil, biofuel and synthetic fuel production. Approving the Keystone XL pipeline. Opening the Arctic National Wildlife Refuge to oil and gas drilling and lifting the current exploration ban along the East Coast and the Gulf of Mexico. Streamlining the leasing and permitting process for oil shale and shallow-water drilling. Increasing access to federal lands for geothermal power development. Promote new technologies and support deployment of Small Modular [Nuclear] Reactors (SMRs). Increase R&D for “drop-in” replacement fuels. 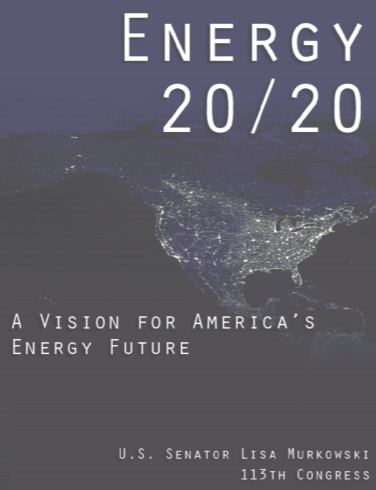 Allocating revenue from expanded energy development into a federal “Advanced Energy Trust Fund” for renewable power, energy efficiency, and alternative fuel programs. What’s your take on Senator Lisa Murkowski’s energy policy blueprint? Are these the most important discussion points for energy experts and policymakers to be talking about? Where are there obvious areas of consensus, and what’s preventing these points of agreement from turning into strong policy? What’s your take on Senator Lisa Murkowski’s energy policy blueprint? There is a more detailed analysis of Murkowski’s plan by Brad Plumer in the Washington Post here. As the ranking Republican on the Senate energy committee, Murkowski’s schema carries more weight than just a solo thought piece. It likely reflects to some extent her reading of other senators’ interests. Still, its chances of enactment as stated are slim. (The same may be said of the White House shopping list.) However it does provide some interesting ideas and food for thought. On energy efficiency for instance, Murkowski focuses due attention on the mechanisms of financing energy-saving investments, instead of subsidies and mandates. It doesn’t really make sense for government — especially a debt-ridden one — to bribe or compel people to adopt appliances, insulation, or other fixes that will efficiently save them money. By better aligning the flow of savings to those who pay the capital costs, market forces can provide effective inducement to improve efficiency. Similarly, it makes sense for government to stop pushing the deployment of alternative energy systems that are not cost-effective or commercially competitive with conventional options. Rather, focus investments — both public and private — on accelerating energy innovation to create alternatives that can compete commercially without subsidies or mandates. While Murkowski’s plan includes some targeted funding for R&D of renewable/alternative energy, the amount proposed — Plumer estimates $7 billion over a decade — seems trivial. Plumer notes that Murkowski does not overstate the case for eliminating imports of OPEC oil by 2020. Given that global oil supplies are integrated and largely fungible, and that the US is on track to be energy independent soon anyway, the case seems to be no more than symbolic at best. There is something to be said for Murkowski’s call for a “technology neutral” approach to promote alternative energy solutions. But then she makes a special pitch for small-scale nuclear power systems. Seems a bit inconsistent. Overall, Murkowski’s scheme is one more variant on the general “all-of-the-above” strategy that many in both parties as well as independents embrace. The variances among them are reminiscent of the proclamation in Orwell’s “Animal Farm” that while all animals are equal, some are more equal than others.